The manga version of Dragon Ball Super has hit the UK, after having been streamable for some time. Unlike conventional manga / anime situations, Dragon Ball Super is actually two separate entities working simultaneously. Original Dragon Ball author Akira Toriyama writes out a brief of what will happen in a story arc, designs the characters (well, the important ones, anyway) and then sends the information to both the Toei Animation team and Toyotarou, the manga artist. They then both adapt Toriyama’s story arc, filling any gaps and solving vague issues however they see fit (within reason, obviously! ), meaning you get two versions of the same story, they have the same beginning and end, but often vary in the middle. 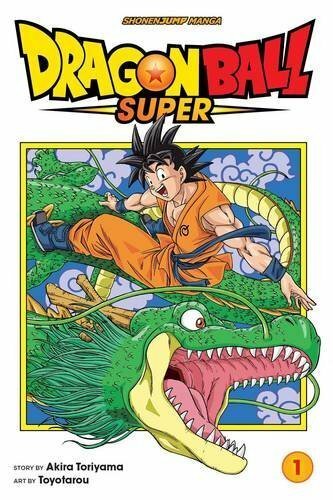 This volume shows Goku gaining the power of a “Super Saiyan God” and challenging Beerus, the God of Destruction, to a showdown in order to save Earth, and ending up impressing the deity and his trainer Whis. It then moves on to the start of a tournament between Universe 7 (“our” universe) against Universe 6 due to Beerus’s twin brother and God of Destruction of Universe 6 Champa getting into a shouting match with Beerus which ends up creating a 5 on 5 tournament. It’s fun, especially a scene with U6 Saiyan Cabba talks to Vegeta and we end up getting some extra backstory on the Saiyan race. It ends in the middle of the battle between Goku and Universe 6 Frieza knock-off Frost. 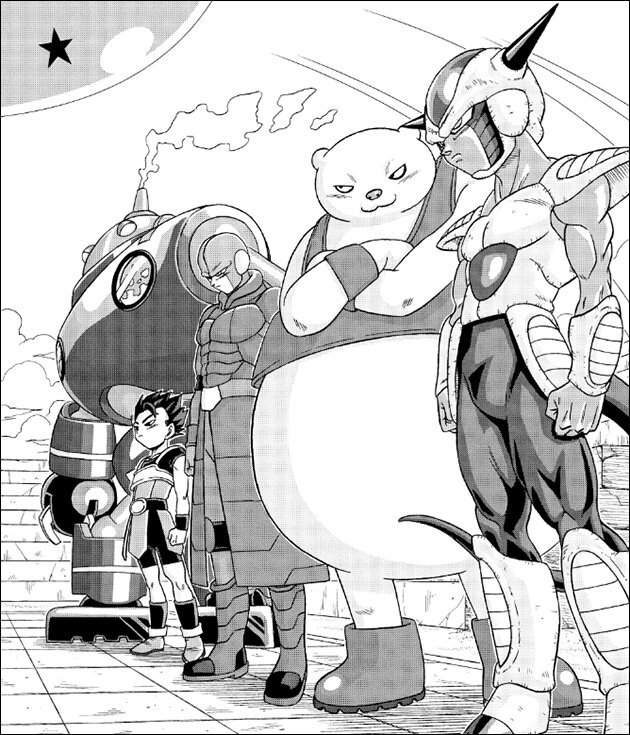 Chapter 5 onwards is pretty much in line with the anime’s version of Super’s Champa arc, obviously there is little filler here, and it’s soon straight to the tournament. The only other key difference here is that Majin Buu is off the Universe 7 team because he fails the written test, where as in the anime he just falls asleep during the test instead, not waking up until the tournament is over.